In the age of the internet, a single bad customer experience can spread like wildfire. Thankfully, a great experience can do so, too. 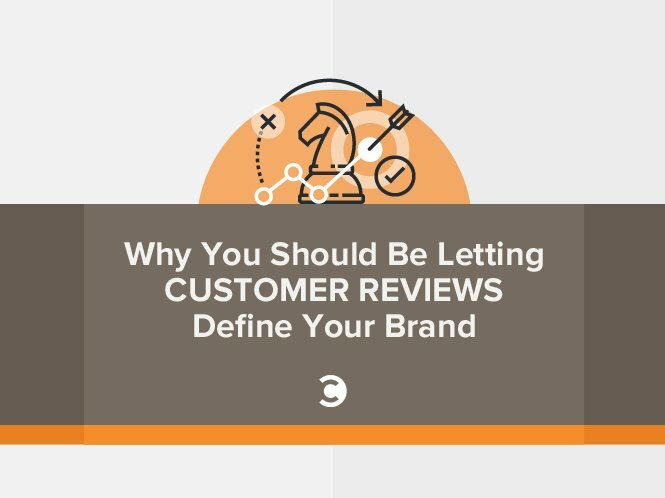 Regardless of what your product or service is, consumer reviews are one of the most important building blocks of your brand’s reputation. Since research indicates that 90 percent of purchasing decisions are influenced by online reviews, you simply can’t underestimate the power of social proof and client testimonials. But what makes ratings and reviews so powerful? First off, they don’t come off as a sales pitch. They are not written in the voice of the brand. Instead, they act as candid, unbiased accounts of the product or service in question. Second, they work to reinforce positive or negative thoughts regarding a brand. If a hundred people have already had great experiences with a given product, chances are a potential customer will be more open to try out the product. Last, and most importantly, they can do wonders to build trust between businesses and consumers. Reviews offer third-party insight into your business model, processes, and quality, right from concept through to delivery. Let’s examine how you can influence reviews to your advantage. The age of the customer is upon us, and e-commerce retailers are quickly realizing that customer loyalty is central to the growth of their online following. If you want to use customer reviews as a tool to build your reputation, obviously, you must provide a reason for them to give you a high rating. One of the best things you can do to encourage stellar reviews is to go the extra mile in providing excellent customer service. According to a study by Aspect Software, 76 percent of consumers say they view customer service as the true test of how much a company values them. Take Virgin America, for example. They make a conscientious effort to make their customer experience fun, memorable, and of course, informative. In addition to their commitment to provide customers with prompt information regarding delays, cancellations, and diversions, they take a light-hearted approach to the in-flight customer experience with entertaining videos, amusing light displays, and sociable staff. Virgin’s efforts have got them to the top of the Airline Quality Rating report for the fourth consecutive year. Their lively approach proves that the customer experience can be uplifting and serious at the same time. Don’t be afraid to get creative. Innovative attitudes and practices in customer service tend to be highly effective and memorable. More often than not, the buying process begins with customers doing their homework on brands before even considering interaction. In a world full of e-commerce retailers that claim to outdo each other in price, quality, and service, reviews are a telltale sign of validity. One of your first goals should be getting your brand on the radar. Websites such as Angie’s List, TripAdvisor, and Yelp are a few of the most popular websites for customer reviews in different sectors. Yelp alone has around 145 million unique visitors every month. Social media is also an extremely powerful tool for customer testimonials and brand advocacy. According to eMarketer, 9 in 10 organizations in the US use social media in their marketing efforts. With around three billion worldwide users, incorporating social media into your company’s interactive review process is a must. Without being too aggressive, don’t miss out on opportunities to get brand reviews or feedback from your customers. 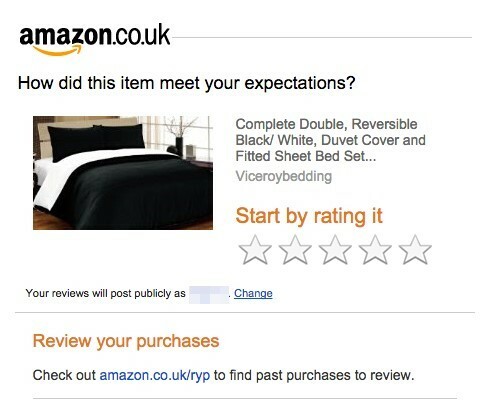 Amazon sets a great example of how to reach out to consumers for reviews proceeding a purchase. In the days following a transaction, Amazon will send a follow-up email to the customer asking for their input on a specific item or the shopping process in general. Offering rewards or monthly prizes to the best brand advocates is a great way to get customers talking about your product. However, note that most of the top review sites categorically forbid businesses to incentivize customers to review them on their platforms. While reviews are powerful, not all of them are worth your (or anybody’s) time. According to this article on Forbes, most reviews are useless to the customer. That’s because so many of them just miss the point of a review entirely, or spread wrong or incomplete information. Here is a template and a couple of quick pointers you can pass on to your customers. We are all easily outraged when a product we paid for malfunctions or when a service is not to our expectations. The question is, does this feeling of outrage entitle you to exaggerated criticism of a business? Similarly, gushing when we are pleased is also normal. But when you are feeling strong emotion (positive or negative) is not a good time to pen a review. Take a break, and return to it the next day. When in the grip of emotions, our thinking is clouded. If we are unhappy with our experience, we are in no mood to give the other person even the slightest benefit of the doubt. This leads to exaggerated statements like, “You’re the worst service provider out there! I wouldn’t recommend you to my worst enemy!” which may or may not be true, but often isn’t. Don’t make it all about you. Yes, your experience is at the heart of the review but the review is for the benefit of others. You need to write something that would help them see things clearly. The above works because it allows the readers to take into consideration both the reviewer’s experience as well as his personal taste, so that they know which bit to pay more attention to. Similarly, this isn’t too helpful either: “Awesome. Loved it! Definitely going back!” What was so good about your experience that you loved? The food, the ambiance, the prices, the service, or all of them Once again, being specific will help your readers understand why you rate this place so highly, and they will be better-equipped to decide if they’ll have a similar experience if they visit. “The menu didn’t have a lot of variety in it, but the food was cooked to perfection. The ingredients—the herbs, the seafood, as well as the pasta—all seemed fresh, and the flavors were a delight. Prices were a little on the higher side, but in the end none of us minded because we were all happy with what we got. We went there on a Saturday evening so unsurprisingly the place was a little crowded, but we didn’t have to wait long to receive our order. I’d, however, recommend calling them in advance if you are planning to visit. Overall, we had a great experience and look forward to going there again. 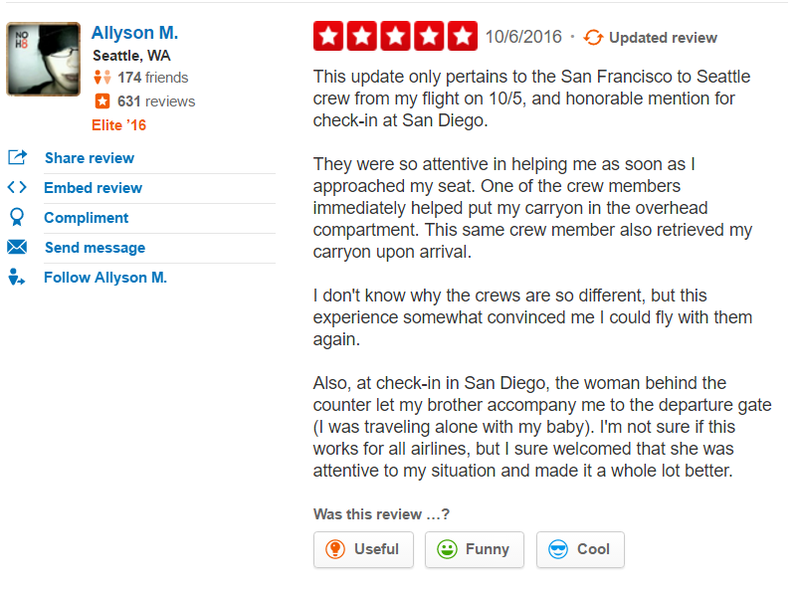 This review is not as detailed as it could have been, but it does describe to a significant extent what the reviewer loved about their visit and how they felt about it. The bottom line is this: Don’t gush or rant in your reviews. Don’t be cryptic, either. Whatever criteria by which you judge companies or restaurants, break them down for your readers, so that they understand where you are coming from. Customer reviews should be approached as a two-way street. The name of the game is being receptive. Set aside time every day to monitor the platforms where your company is listed. Regardless of the customer input, do not procrastinate on your responses. A quick reply indicates that you value customer input and are committed to resolving any grievances. Following a review, be sure to thank them for their input. Attentiveness to both the good and bad reviews shows you are truly dedicated to improvement based on customers’ opinions and reactions. 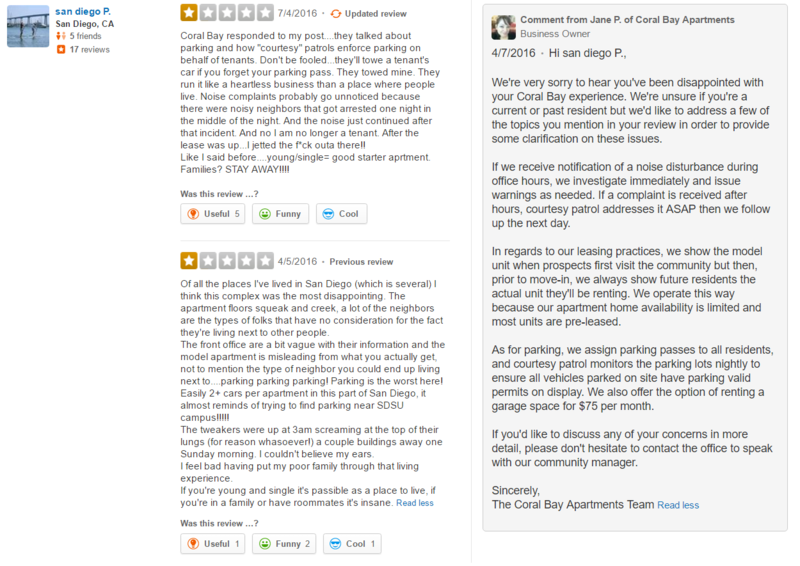 Responding to a negative review is not always an easy task. However, the way you phrase your message is very important in demonstrating your brand value. Here, the business owner does a good job of handling this clearly upset customer. The owner keeps her cool and phrases her response in a way that resembles a face-to-face interaction. Her tone and wording are professional, she begins with an apology, and she politely reminds the user of their policies. She also leaves the door open to further conversation in the last paragraph. However, as the example shows, there are some customers you just can’t please! Just know when to end it. As previously stated, feedback is extremely influential in converting new customers and is often their first step in the research process. Whether it be on your website, email newsletters, or social networks, sharing customer reviews is a great vehicle for word-of-mouth advertising. 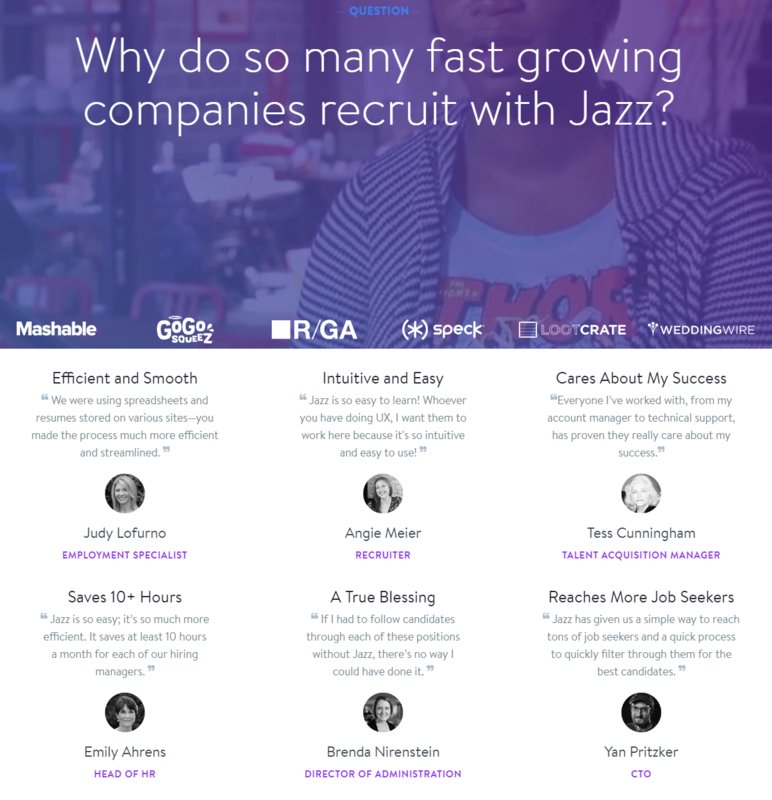 Here’s an example of how to reinforce your brand message using your customers’ words. Posting both the good and bad testimonials can be valuable. Customers aren’t stupid—if they see nothing but positive reviews on your website, they naturally get skeptical. Posting both sides of the coin on your web properties shows your brand is transparent and that you are constantly working to solve issues. At the end of the day, you can only do so much to define your brand before leaving it to your customers. In a customer-centric market, developing relationships through reviews is one of the most effective ways to build trust and credibility. Your reputation as a business is a constantly evolving entity. Always keep your eyes and ears open, and weave your (loud and clear) message around the most important piece of the business puzzle: the customer.